As many as 60 retired civil servants have asked President Ram Nath Kovind to expedite the release of Comptroller and Auditor General (CAG) reports on demonetisation and the Rafale deal. The letter, signed mainly by former Indian Administrative Service, Indian Foreign Service and Indian Police Service officers, regrets that the status of the audit is "unclear”. According to them, “An impression is gaining ground that CAG is deliberately delaying its audit reports on demonetisation and Rafale deal till after the May 2019 elections so as not to embarrass the present government”. During the debates in the Constituent Assembly, Dr BR Ambedkar had described the Comptroller and Auditor General (CAG) as the most important functionary in the Constitution, more important than even the Judiciary. Rightly so, because the CAG functions as a watchdog of the public purse, and it is his duty to ensure that every financial transaction is as per rule, sanction, provision and propriety, and guided by the principles of economy, efficiency and effectiveness. Articles 148 – 151 of the Constitution of India read with the CAG’s (Duties, Powers and Conditions of Service) Act, 1971, ensure his complete independence from the Executive. We wish to bring to the CAG’s notice our concern about what seems to be unconscionable and unwarranted delay in bringing out the audit reports on demonetisation (November 2016) and the Rafale deal (April 2015). A news item in “The Hindu” dated March 3, 2017, titled “CAG to undertake audit of demonetisation fallout” quoted the previous CAG as saying that the CAG was well within its rights to seek audit of the fiscal impact of demonetisation, especially its impact on tax revenues. He had pointed out that the audit would also cover the expenditure on printing of notes, RBI’s dividend to the Consolidated Fund of India, the huge amount of data generated by banks, and the effectiveness of the follow-up action taken by the Income Tax Department in identifying potential tax evaders and pursuing action against them, and so on. It is more than 20 months since the previous CAG made the above statement but there is no sight of the promised audit report on demonetisation. 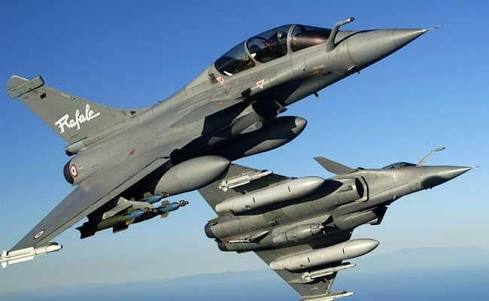 Equally conspicuous is the delay in presenting the CAG’s audit report on the Rafale deal, even though 42 months have elapsed since the deal was announced in April 2015. A news item in the “Times of India” dated July 24, 2018 titled “Rs 59,000 crore Rafale deal: CAG’s audit report misses deadline” stated that the report was still in the draft stage and “may be finalised not before the Winter session in December”. Another news item in “The Indian Express” dated September 19, 2018 titled “Rafale deal: Congress delegation meets CAG, demands report on ‘irregularities’” stated that the CAG had assured the delegation that he was “already examining all aspects of the deal”. But another news item published in “Business Today” dated September 23, 2018 titled “No question of scrapping Rafale deal, will wait for CAG report, says Arun Jaitley” quoted the Finance Minister as saying that it was for the CAG to examine whether the planes were bought at a higher price or not and that “all these facts and figures will be placed before CAG for consideration”. It would appear from his statement that, as late as September 2018, the related files were yet to be scrutinised by the CAG. The precise stage of the audit is therefore unclear. The CAG’s audit reports on the 2G scam, coal scam, Adarsh scam, Commonwealth Games scam, etc., which influenced public perception of the then government’s actions, had invited appreciation from various quarters. But an impression is gaining ground that the CAG is deliberately delaying its audit reports on demonetisation and the Rafale deal till after the May 2019 elections so as not to embarrass the present government. The CAG’s failure to present the audit reports on demonetisation and the Rafale deal in time may be seen as a partisan action and may create a crisis of credibility for this important institution. Due to the cacophony of claims and counterclaims, accusations and mudslinging in the media and elsewhere, the citizens do not know what the reality is. We believe that citizens have a right to insist upon the timely submission of audit reports by the CAG so that they can make an informed choice while voting. In the past, the CAG has been criticised for nit-picking and focusing on trivial issues on the one hand, and for audit over-reach on the other. But there was never any occasion to accuse the CAG of being influenced by the Government of India or having to remind it about the timely performance of its Constitutional duties. While we are confident that the CAG will continue the tradition set by the past incumbents of this office, we urge it to complete the audit of both Demonetisation and the Rafale deal and submit the audit reports without any further delay so that they can be tabled by the Government of India in the Winter session of Parliament in December 2018.